Are you looking for a reliable and accessible business VoIP tutorial? You are just in the right place! VoIP is quickly becoming the preferred choice of communication systems for businesses but not everyone is familiar with the technology or the intricacies of deployment. This tutorial will take an in-depth look at business VoIP solutions, the technical terms associated with it as well as some considerations to keep in mind before implementation. VoIP is basically a group of technologies that allows voice communication over IP networks, such as the Internet. The acronym stands for Voice over IP, although it is sometimes referred to as broadband telephony or Internet calling. A VoIP call is very similar to a regular call, except that the audio data is sent through packet-switched networks as opposed to the traditional circuit-switched networks (PSTN). VoIP systems use a variety of protocols to initiate, manage and end sessions between multiple endpoints. The human voice is converted to digital data packets, compressed and routed over the Internet to its destination where it is uncompressed and converted back to audio signals. VoIP is now being used for both consumer and business purposes and is available on many different devices such as computers, mobile phones, laptops and any device with an Internet connection. Where Does SIP Come in? VoIP can be implemented using a variety of protocols – both proprietary and open source. The H.323 one of the earliest VoIP protocols but has now been superseded by SIP in terms of popularity among vendors, end-users and manufacturers. SIP stands for Session Initiation Protocol and has its roots within the IP community. It is a signaling protocol used to set up, manage and terminate VoIP calls. As mentioned above, it is only a signaling protocol and it does not carry the actual voice data. This task is usually left to RTP – Real-Time Protocol. SIP messages are frequently transmitted using UDP – User Datagram Protocol. The parameters of the call are included in the SDP – Session Description Protocol. SIP transactions are based on sending out requests and receiving responses related to various call management actions. Session management: Handles tasks such as transfer, termination etc. Hosted VoIP refers to the business model where most of the equipment is owned, operated and maintained by the service provider. For the business, the phones are plugged into the router and every aspect of call management (signaling, termination, features) is managed through the cloud. The complete package generally includes a set number of minutes, features and/or seats. The biggest advantage to hosted VoIP is that it requires no capital investment beyond the monthly subscription price and is quick and easy to set up. 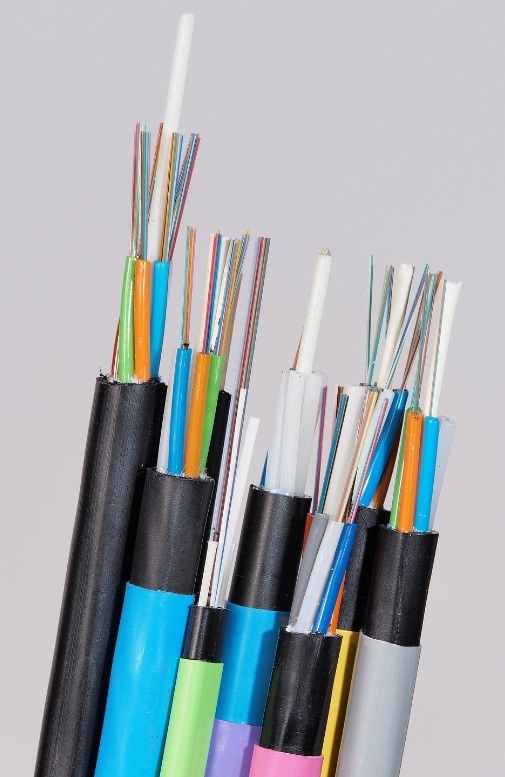 SIP trunking is analogous to the old system where the enterprise uses on premise IP-PBX boxes. Calls are routed through SIP trunks to the ITSP (Internet Telephony Service Provider). The equipment is the sole responsibility of the business and only call services are provided by the vendor. SIP trunking offers many benefits for organizations that are willing to invest in and upgrade hardware. The cost per call can be considerably less than hosted VoIP and the total cost of ownership (TCO) over the system’s lifetime is very inexpensive. There are no hard and fast rules for which solution is objectively better but each alternative is more suited for certain situations. Small and medium enterprises that cannot afford significant capital investment and do not have the expertise required to maintain their own equipment generally prefer hosted VoIP. SIP trunking is preferred by larger companies that have the resources, as they are more concerned with TCO and positive ROI. Before an organization can deploy VoIP, it needs to take stock of its current situation, needs and infrastructure. The business needs to estimate how many lines it needs for the present and budget a safety margin for future growth. Some features will be vitally important while others fall under the category of ‘nice to have’. While selecting a provider or equipment, necessary features should be given priority over others. While the above decisions have to be made before going ahead with the project, it is equally necessary to evaluate the current state of the business network. Internet speeds and bandwidth are the twin pillars which support VoIP and any bottlenecks can quickly degrade voice quality. Sometimes older routers are unable to handle VoIP traffic and they may have to be upgraded. If the current data network is just about able to keep up with demand, it will be necessary to add more capacity before going ahead with VoIP. So how do you know how much bandwidth will be required? A rough rule of thumb is to multiply the maximum number of simultaneous calls expected with 80 kbps (bandwidth required for one call). However a number of factors will impact bandwidth usage including the type of codec used, whether or not compression algorithms are at work, silence suppression is used or not etc. A call which uses the G.729 codec will need much less bandwidth than G.711 since the former utilizes compression to specifically reduce bandwidth consumption. 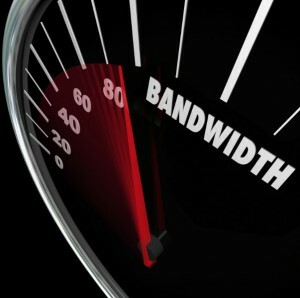 In this case, bandwidth usage per call can be as low as 15 kbps. VoIP voice quality is affected by different network factors such as latency, jitter, lack of QoS, codec compression etc. A codec that compresses the voice data allows for reduced bandwidth consumption but can affect the quality of the signal. Hence selecting a particular codec will have an influence on both bandwidth and voice quality. Handling delay – Each packet is handled by multiple devices on the way to its destination. Handling at each of these stops will introduce some delay. Queuing delay – A bottleneck or condition at some point in the network means that the packets have to be queued before being sent on. Latency delays are measured in terms of milliseconds but because VoIP is real-time transmission, even those delays can render conversation impractical. On the other hand, jitter is the variability in latency over a certain period of time in the network. Jitter usually results in scrambled audio or missing words. Both latency and jitter can be partially solved by configuring QoS settings properly. QoS indicates to network equipment that certain packets are voice data and need to be given priority. It keeps voice traffic moving smoothly even as other types of data are held back (for example email is not affected by small delays, so it doesn’t need priority). Jitter buffers are frequently built into devices so that packets can be stored and reordered before conversion. Regardless of whether an organization opts to use hosted VoIP services or SIP trunking, it is necessary to have a basic understanding of VoIP technology before implementation. This way the project does not get derailed by foreseeable obstacles and can proceed smoothly.